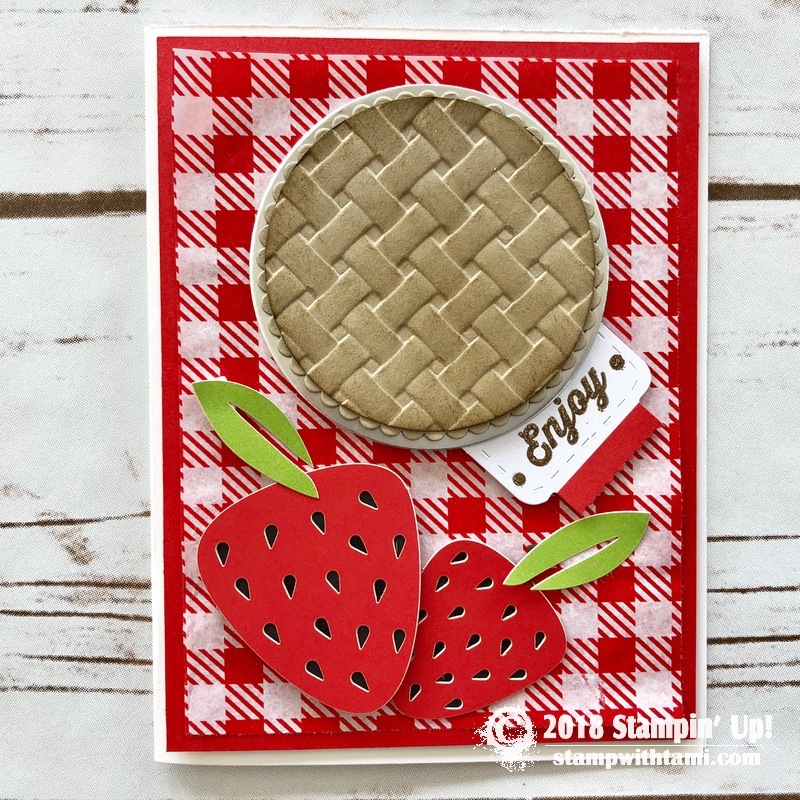 On this live online class I’ll share how to make these adorable apple pie, blueberry pie and strawberry pie card set featuring the July 2018 “Picnic Paradise” Paper Pumpkin Kit, Basket Weave Folder and Layering Circle Framelits. I’ve posted close up photos of each card below, as well as a supply list and free pdf. 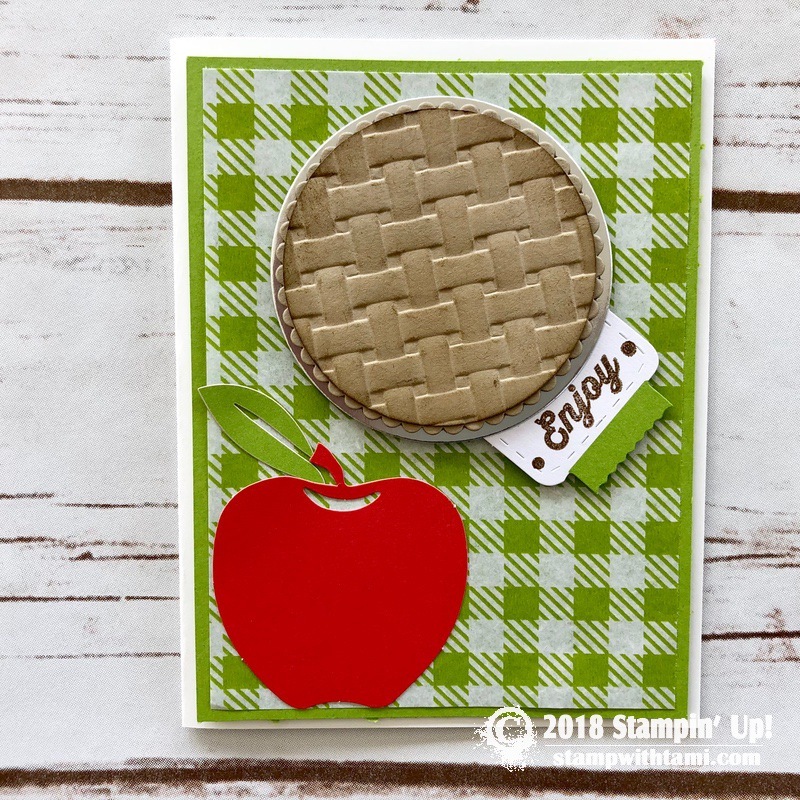 The refills to this kit have sold out, but you can still make these alternate cards even without the kit, with a few easy substitutions: Try the new Buffalo Check background stamp (Holiday Catalog) and instead of fruit you can add balloons to the bottom. 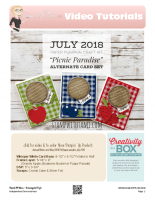 Deadline to subscribe and get the August kit is Today – August 10. 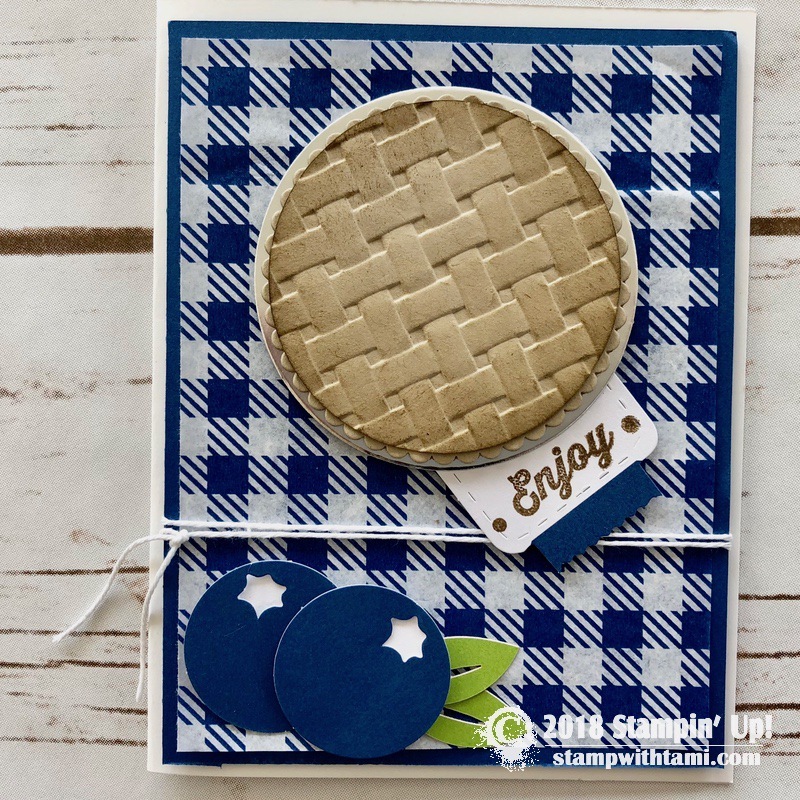 I will be live on Facebook or Youtube at noon EST on Tuesday creating this fun class with you for free. Join me live and be part of the fun, win prizes and more. If you can’t make it live, this video replay will be on here on my blog, Facebook or Youtube along with an “after live” drawing (below). This is a video comment entry giveaway. Winner drawn on May 29. To enter, simply click over to the video on Facebook or Youtube , and leave a comment. No purchase necessary. really cut paper pumpkin is so neat!!! Way to go Tami love them. 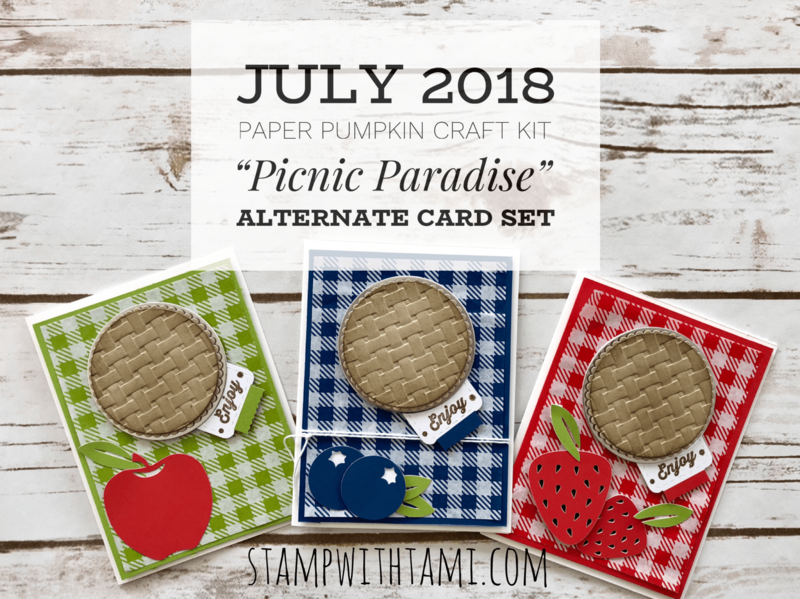 Hi Tami I got My paper pumpkin in My Stampin up kit love it!! !